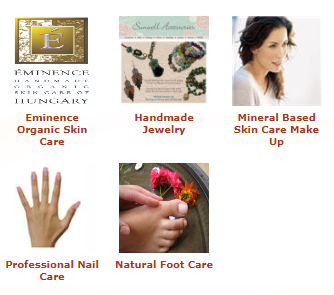 Paradise Spa and Wellness quality services include registered massage therapy, manicures, pedicures, make up artistry, finishing touches, waxing, facials, spa treatments and skin care treatments. Open 7 Days a Week to Serve You Best! Enjoy a 1 hour pedicure, complete with cuticle & callus work, Organic Strawberry Rhubarb masque application and Massage of the lower leg and foot. Then while your toes set to dry lay back and enjoy a 30 minute shoulder, neck & scalp massage with the signature Eminence Organic Apricot Oil…Sheer Paradise! BONUS ~ Complimentary Eye & Lip Treatment when booking this facial or purchasing as a gift certificate. 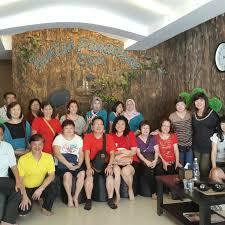 Completely customized cleansing, toning, skin analysis, exfoliation, masque and massage of the face, neck and shoulders. Sounds sweeter than any box of chocolates we ever ate! * Facial Special cannot be combined with any other offer, Customer Appreciation Day Pricing, or when redeeming a previously purchased gift certificate. Offers valid February 3-15, 2015 only. Pricing does not include applicable taxes. Couple’s room offer not valid with RMT bookings, when buying or redeeming a gift card. Please ensure to request Couples room at time of booking. Did you know that we have a beautiful couple’s treatment room where you can enjoy treatments side by side with a loved one or best friend. Couple’s room offer not valid with RMT bookings, when buying or redeeming a gift card. Please ensure to request Couples room at time of booking. Click here to view a complete list of all of our Spa packages! Save Time & Instantly Purchase Gift Cards Online, Just Click Here! * All Valentine Specials are valid from February 3-15, 2015.
or when buying or redeeming a gift certificate unless specifically specified. Massage specials are not valid with RMT bookings. Let Paradise unfold with grooming of the nails and cuticles and massage for the hands and arms. Conclude with a polish application. We proudly use OPI polish. This beautifully relaxing treatment indulges you in the season’s most alluring scents and flavours, skin smoothing exfoliation and paraffin masque application for the hands. Infuse your hands with moisture and balance your mind with massage of the hands and arms and finish with polish application.